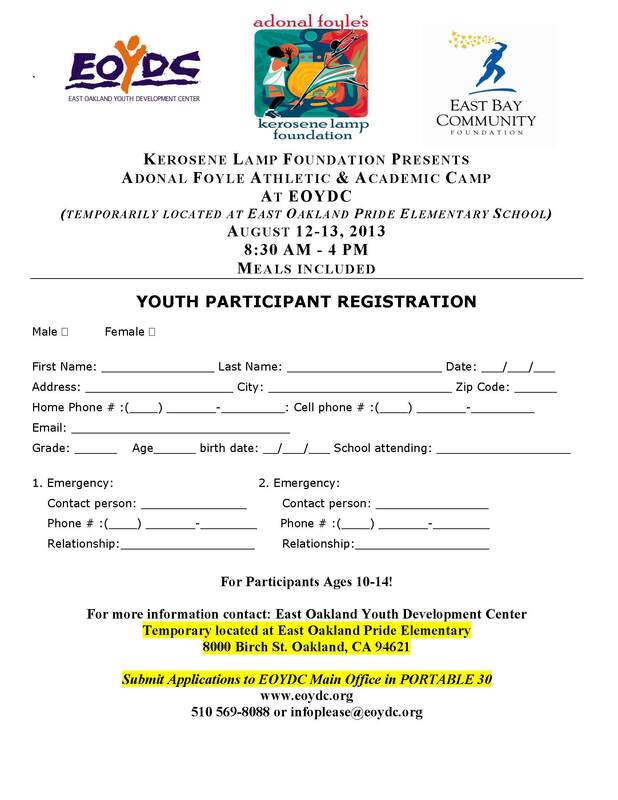 In partnership with the Kerosene Lamp Foundation, and East Bay Community Foundation, EOYDC is proud to host the 2013 Adonal Foyle Athletics and Academics Basketball Camp! What? 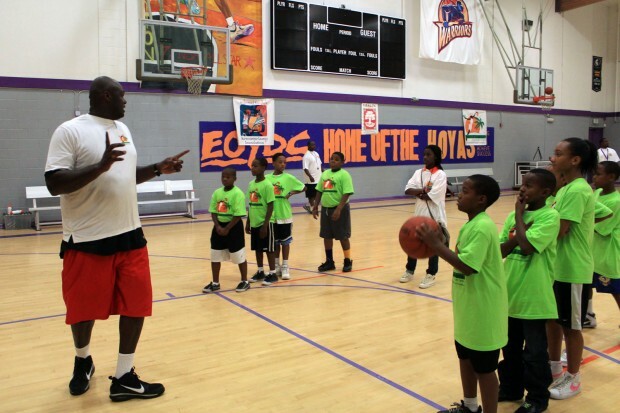 Established by former Oakland Warrior, Adonal Foyle’s Athletics and Basketball Camps educate youth ages on how to become both an excellent athlete and student. The camps combine the two disciplines, teaching student athletes the importance of playing the sport right as well engaging them intellectually by different elements of the game. 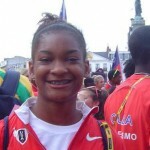 Through hands-on sessions teaching basketball skills, to hearing from well-respected athletes and academia, the program helps students understand sportsmanship, the discipline of playing the game, and the healthiness of competition. This FREE camp is open to students ages 10 – 14; meals are included. To register your child, please complete the registration form, and submit to East Oakland Youth Development Center (temporarily housed at East Oakland Pride Elementary School, Portable 30). Please call (510) 569-8088 with any questions.